A little piece of paradise: beaches, volcanoes, wildlife nearby. Costa Rica is the place for you regardless of whether your idea of a great vacation is sitting on a beach with sand between your toes, or hanging from a tree top. Since there is something for everybody, this is the perfect luxury vacation spot for gathering friends and family. The more laid-back traveler can relax on the beach, take a nature walk in the jungle and just appreciate the natural beauty all around. The active traveler can climb a volcano, go white-water rafting and zip lining. 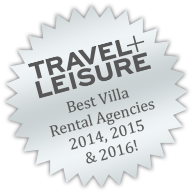 Both will love the Time & Place luxury vacation home you selected. Contact our knowledgeable reservations team and start planning your next vacation in beautiful Costa Rica. You will really enjoy your time at our Time & Place luxury vacation rentals. Stretch and do the sun salutation in a private yoga class on the beach. Explore the jungle trails and hills on a top-notch, state-of-the-art mountain bike. We’ll tell you the best trails. You are required to have a passport or other accepted document that establishes your identity and nationality to enter or re-enter the United States. In the case of minors, when traveling with your children, but without your spouse or partner, please have a notarized letter from the non-present parent authorizing the child’s travel. If not, the child may be held at security and unable to travel. This letter is highly recommended for any international destination (airlines include Hawaii in this case), and suggested for travel within the continental United States. High temperatures year round are between 85-100 degrees F. The main difference is in precipitation. Dry season typically lasts from December to April. There will literally not be a drop of rain for four months. The beginning of dry season is still very green from the rains but by April, most of the countryside has “browned out” from lack of rain and the highs are near 100. The rains start in May and “green” season begins. May through mid September will typically have sunny mornings with a chance of light afternoon showers lasting a few hours. Late September through early November sees thunderstorms and is the rainiest time of the year. Many restaurants are closed for the month of October and owners take vacation or use the time to remodel and prepare for the upcoming season. It is the time of year with the least tourists and most rain. Rain slows down in late November and while Thanksgiving has a chance of afternoon showers, it is markedly different than rainy October.